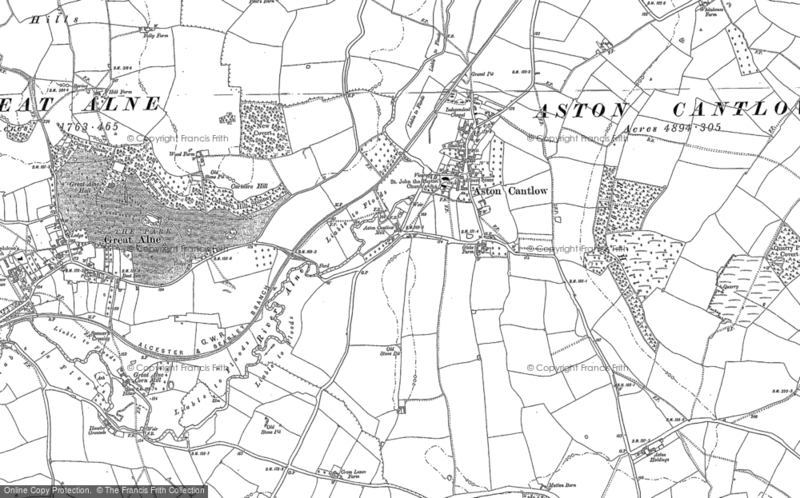 Parsons Family Of Aston Cantlow - a Memory of Aston Cantlow. I'm looking for the descendants of Isreal Davis and Emma Parsons or any information about them. Isreal and Emma Davis or Davies lived in Little Alne in 1911. I don't have the address. Their daughter Anne Maria Coldicot and her husband Frederick lived with them at the time. Emma Parsons was born about 1848, in Aston Cantlow, Warwickshire, her father, John, was 34 and her mother, Ann Haynes, was 30. She had two sons (William and John) and one daughter with Isreal Davies between 1870 and 1876. She died in 1911 at the age of 63. Israel died in 1924 in Little Alne he was 78 years old. Isreal Davis/Davies and his twin sister Harriot were baptised on December 15, 1844, in Dormston, Worcestershire. He was married in October 1869 in Alcester, Warwickshire. He had one brother and four sisters. When Ann Maria Davies was born in 1876 in Ullenhall, Warwickshire, her father, Isreal, was 32 and her mother, Emma, was 28. She died in June 1959 in Stratford on Avon, Warwickshire, at the age of 83. Anna passed away in June 1959 in Stratford on Avon, Warwickshire, at the age of 83. Her husband Frederick Coldicot (married January 1911) passed away on October 6, 1946, in Salford Priors, Warwickshire, at the age of 61. They had been married 35 years. I'd love to connect up with anyone who knows anything about this family. Isreal is the brother of my great grandfather. A memory shared by jmdroots on Sep 6th, 2015. Send jmdroots a message. Add a memory of Aston Cantlow.